Today we are celebrating the release of ANTON by Brenda Rothert. This is a contemporary romance, standalone title, and it kicks off the brand new Chicago Blaze hockey romance series. Purchase your copy now for only $2.99! Follow Brenda’s newsletter for exclusive details! When I read the blurb for Anton by Brenda Rothert, I was very intrigued, and I am glad I read it! It was a forbidden love story that was emotional and sweet with great characters! I had never read this author before and though this is a part of a series, I did not feel lost, though I am now excited to go back and read more of this series! I fell for Anton right from the start. He was sweet, caring, strong and determined. He was in love with a woman he could not have. His morals were strong, but when he found he could help her, he did everything he could. Even if it meant only friendship, because he was that kind of man. Mia broke my heart. She was sweet, caring and so vulnerable. She was dealing with some very difficult circumstances in her life. When she finally got away, she was just trying to keep her head down and move forward any way she could. 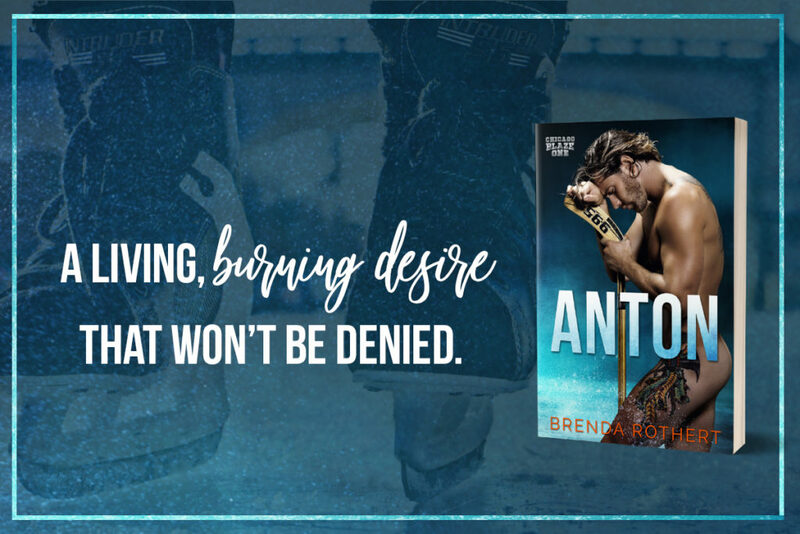 Anton by Brenda Rothert was so much more than a sports romance. It was touching, sad at times and full of hope and second chances. I devoured the book. It was not an easy journey for Anton and Mia, but it was one that was captivating and have you cheering for the main characters. I loved it and cannot wait to read more both from this series and this author.